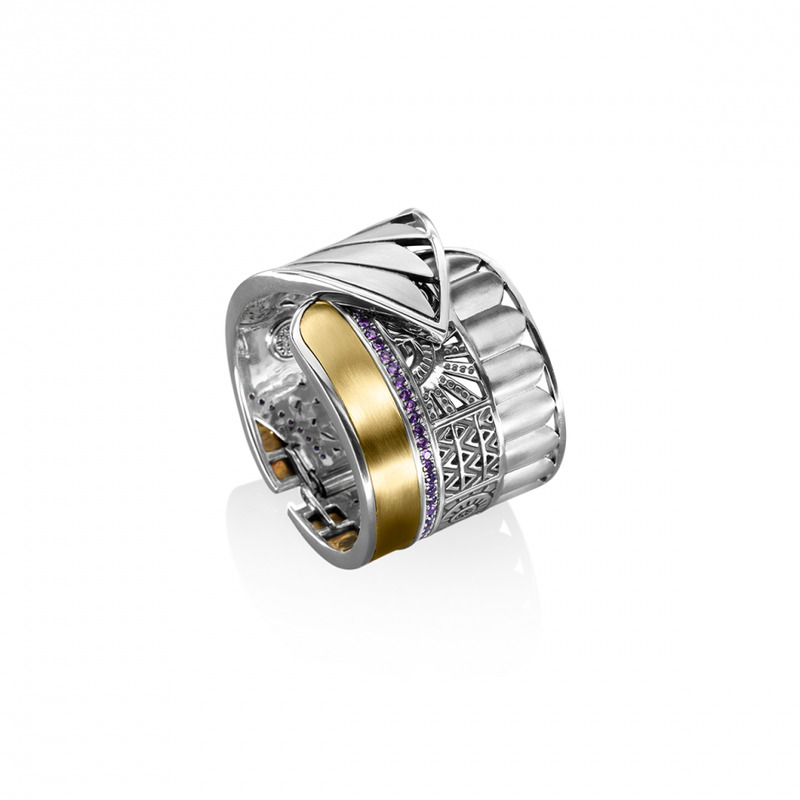 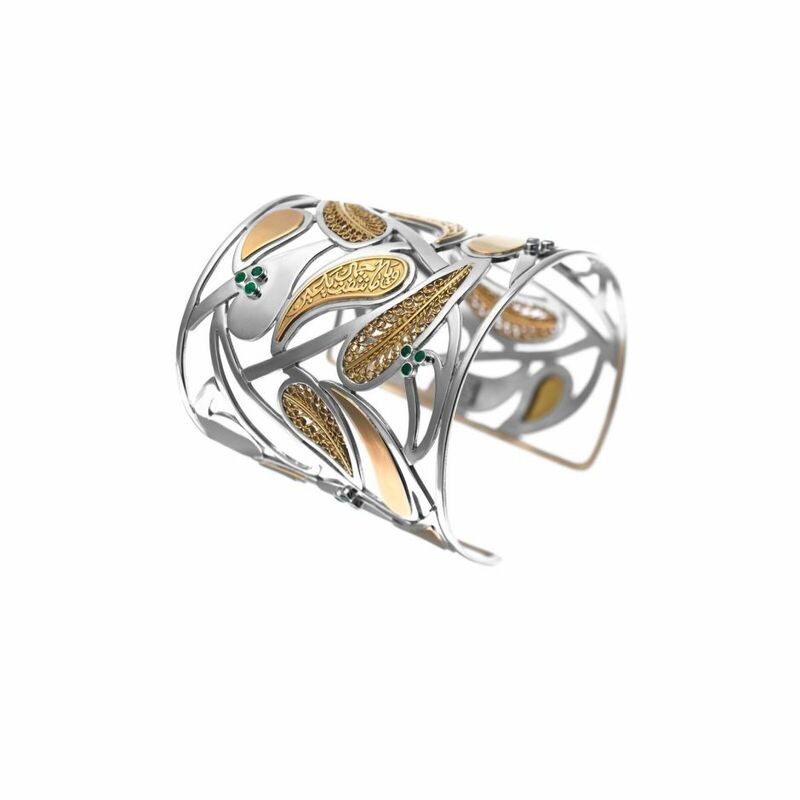 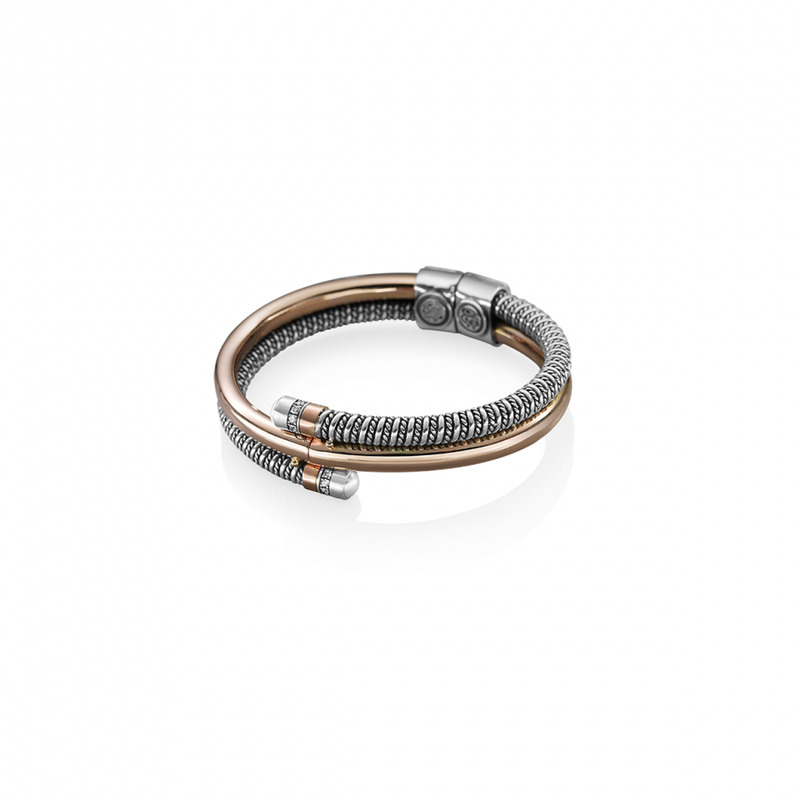 18kt Gold and Sterling African bangle adorned with Diamonds and semi-precious stones. 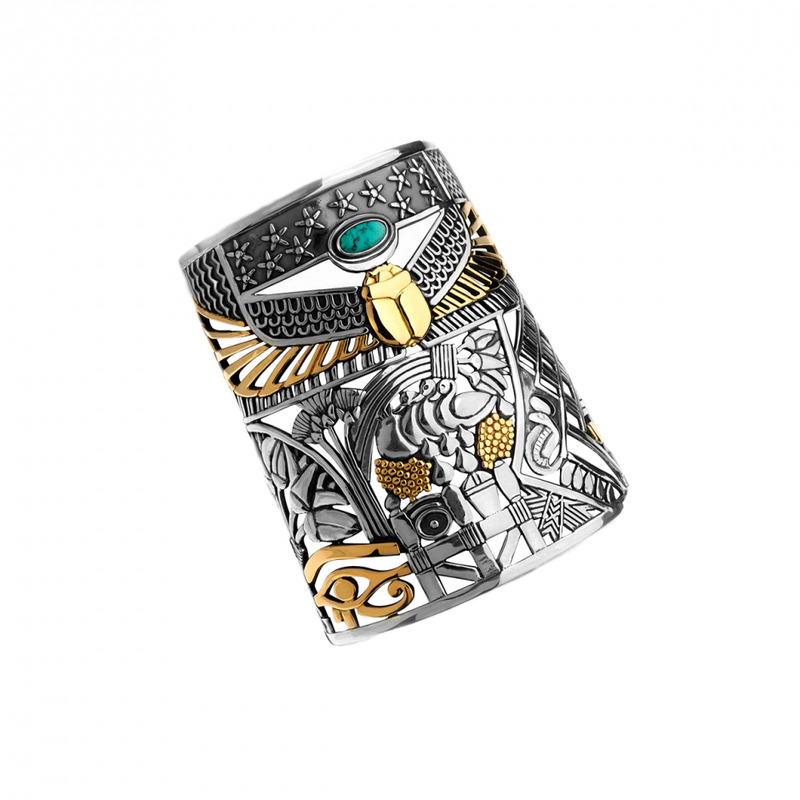 18kt Gold and Sterling Silver masterpiece engraved in cosmic muses, featuring Pharaonic Wings, and bejewelled with semi-precious stones. 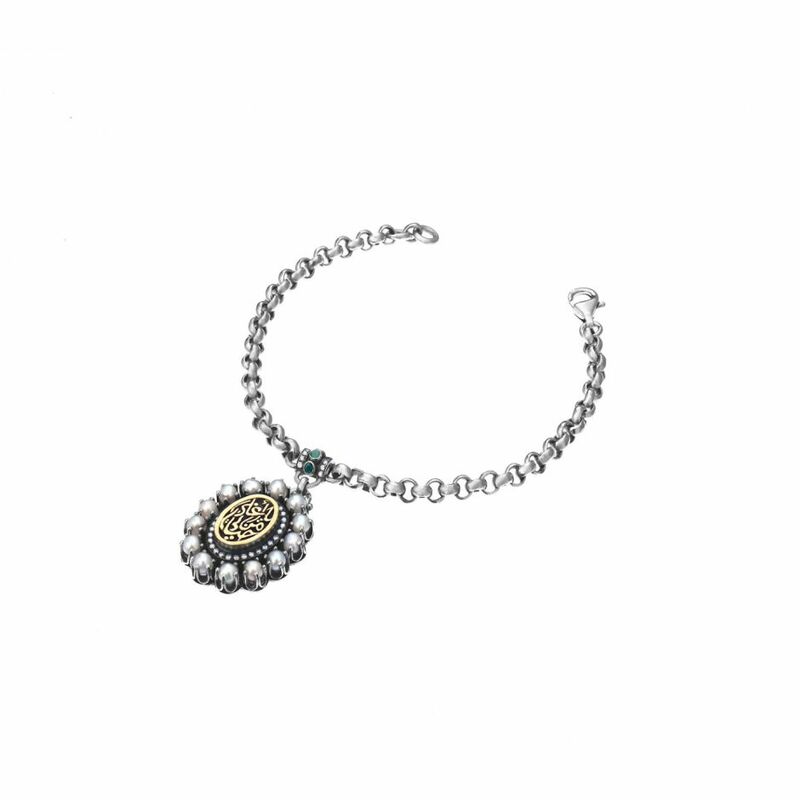 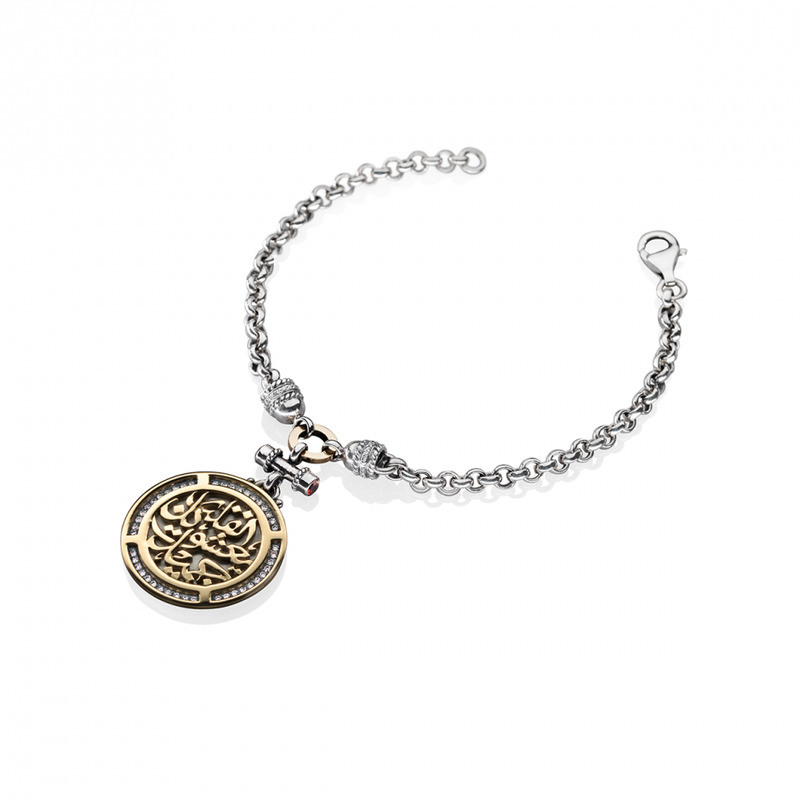 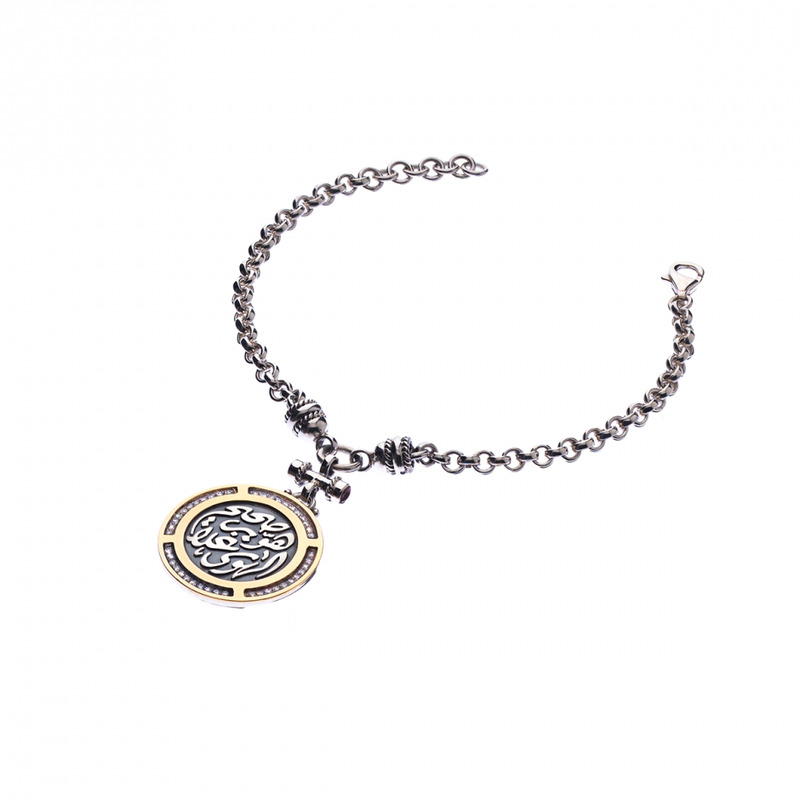 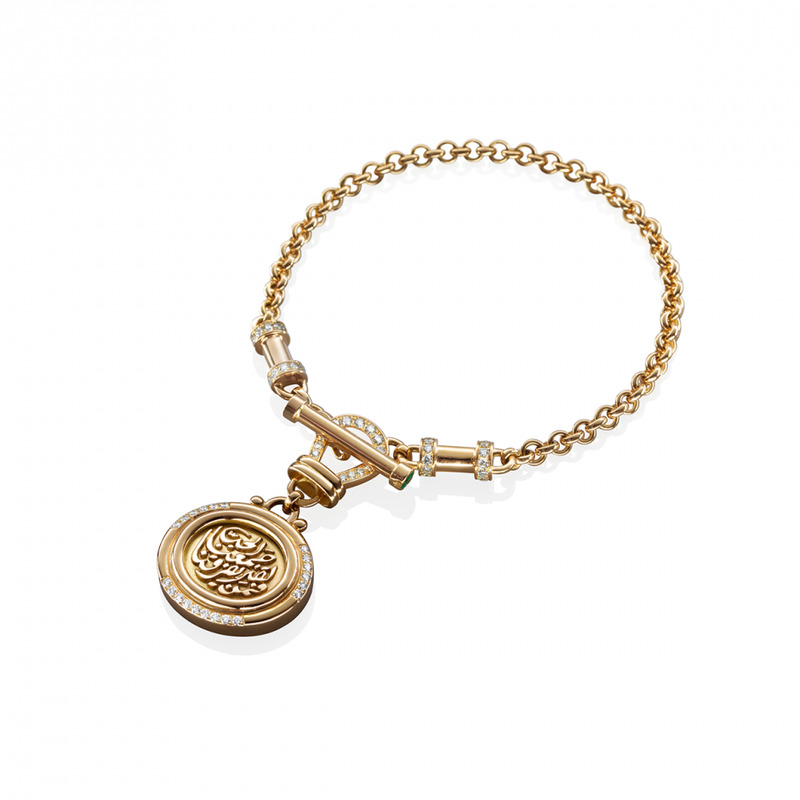 18kt Gold and Sterling Silver Charm bracelet reminicent of antique coins inscribed with the timeless words of Umm Kulthoum and bejewelled with precious and semi-precious stones. 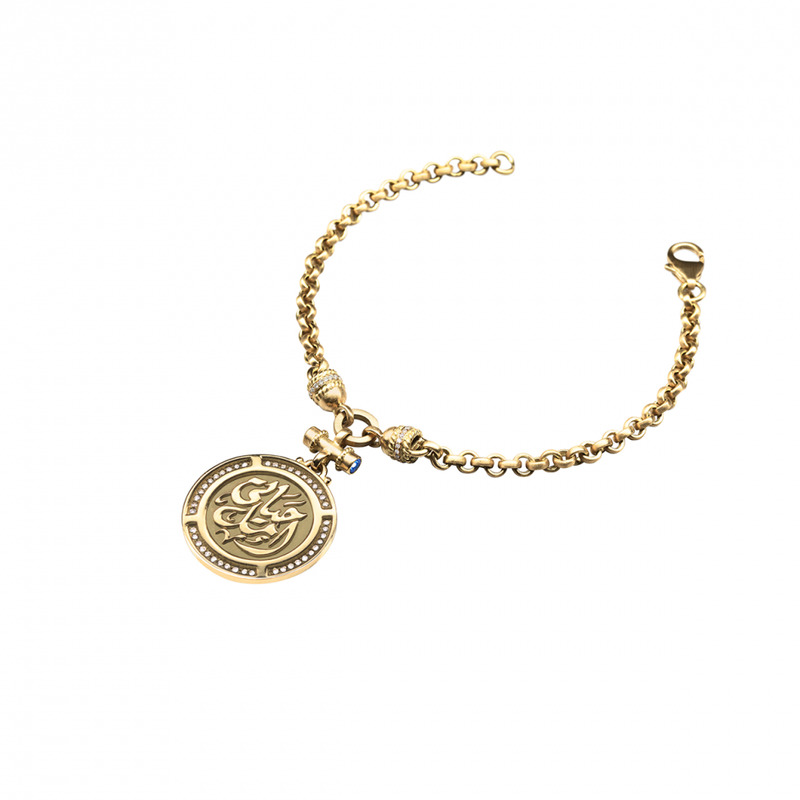 18kt Gold Charm bracelet reminicent of antique coins inscribed with the timeless words of Umm Kulthoum and bejewelled with precious stones. 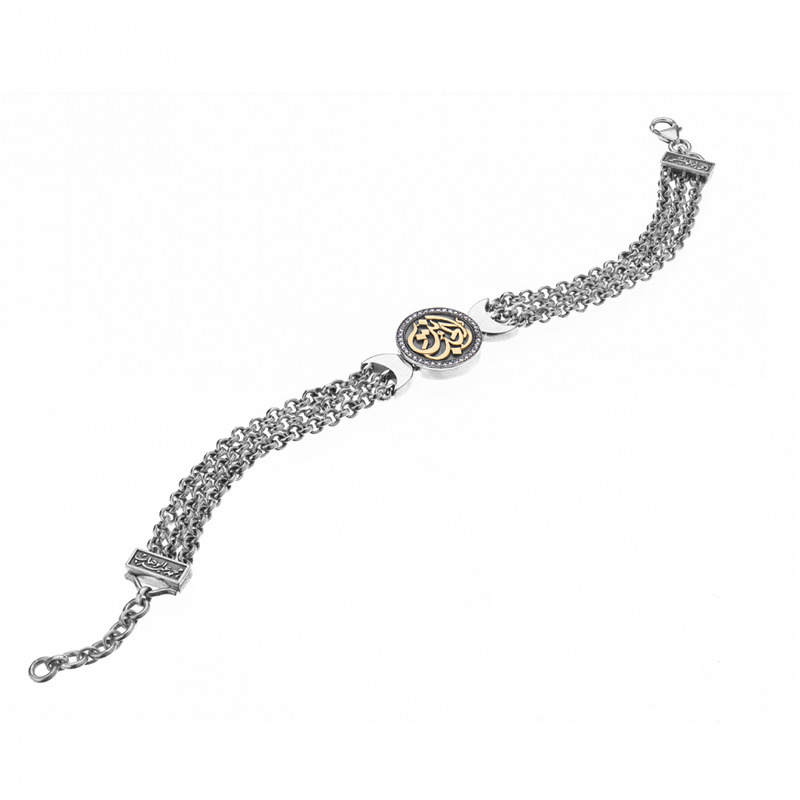 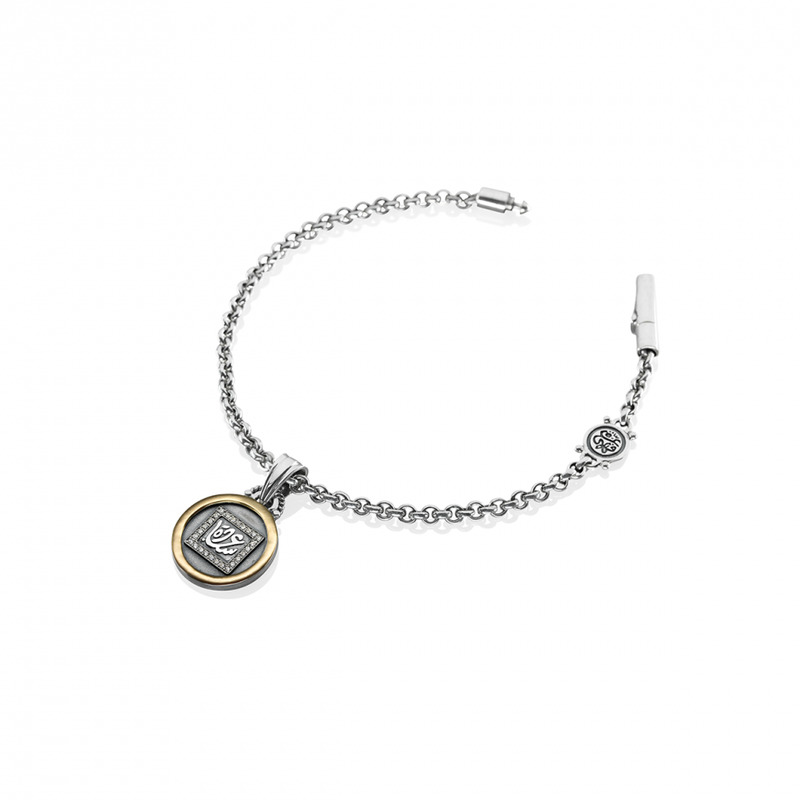 18kt Gold and Sterling Silver bracelet reminiscent of antique Cameo jewellery, enclosing a message of love and adorned with Diamonds and precious stones. 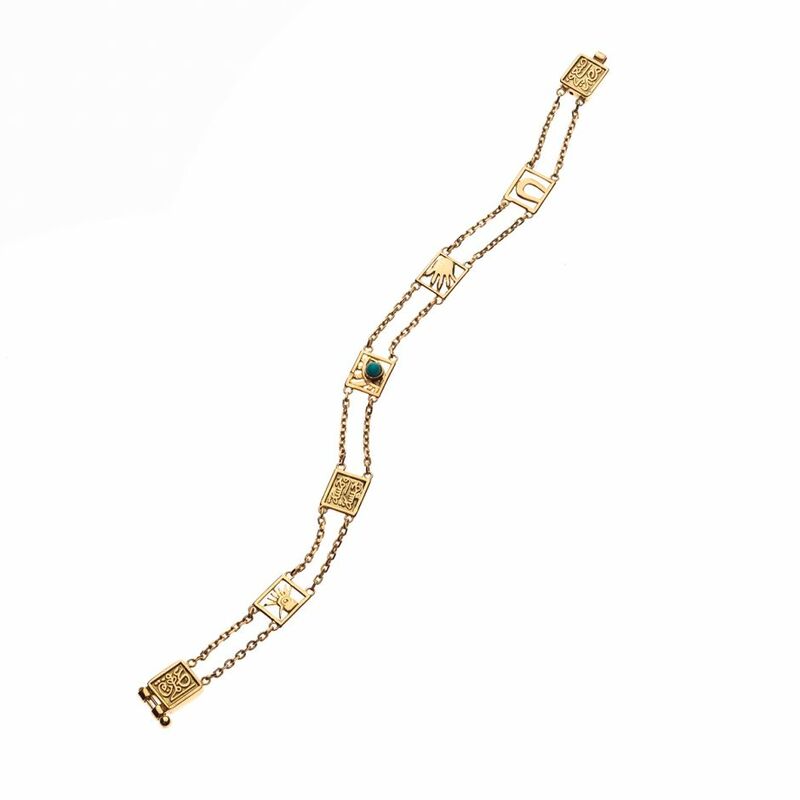 18kt Gold and Sterling Silver classic calligraphy bracelet adorned with semi-precious stones. 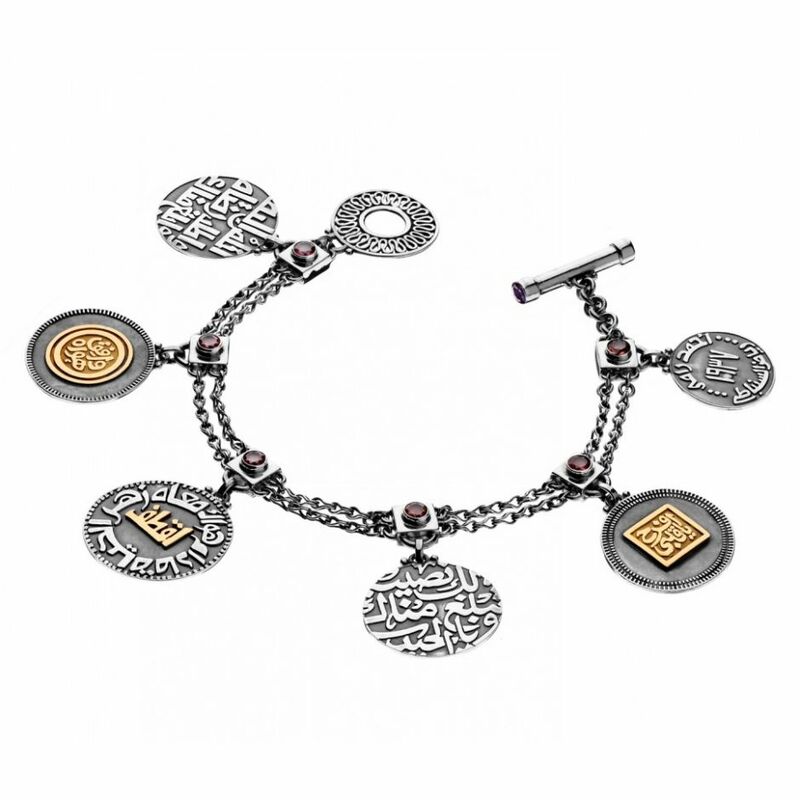 18kt Gold and Sterling Silver coin charm bracelet inspired by Umm Kulthoum, adorned with calligraphy and semi-precious stones. 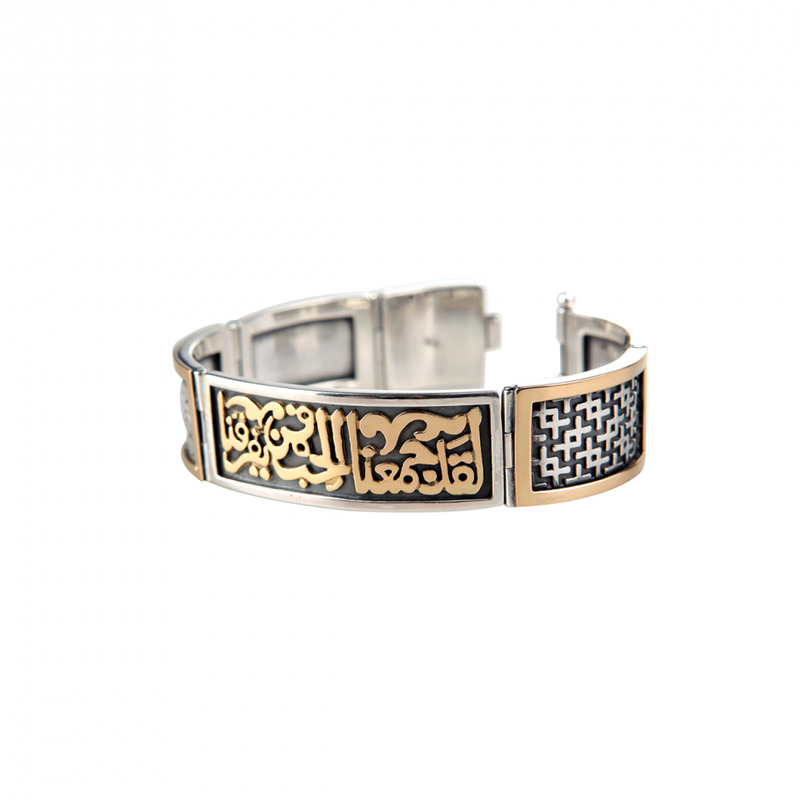 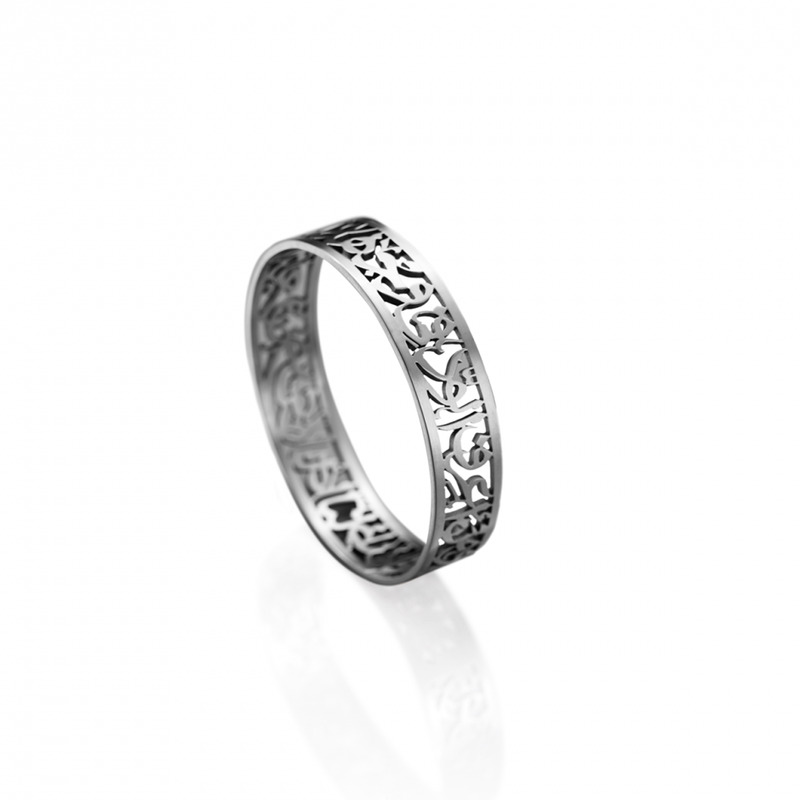 Sterling Silver hand-pierced calligraphy bangle. 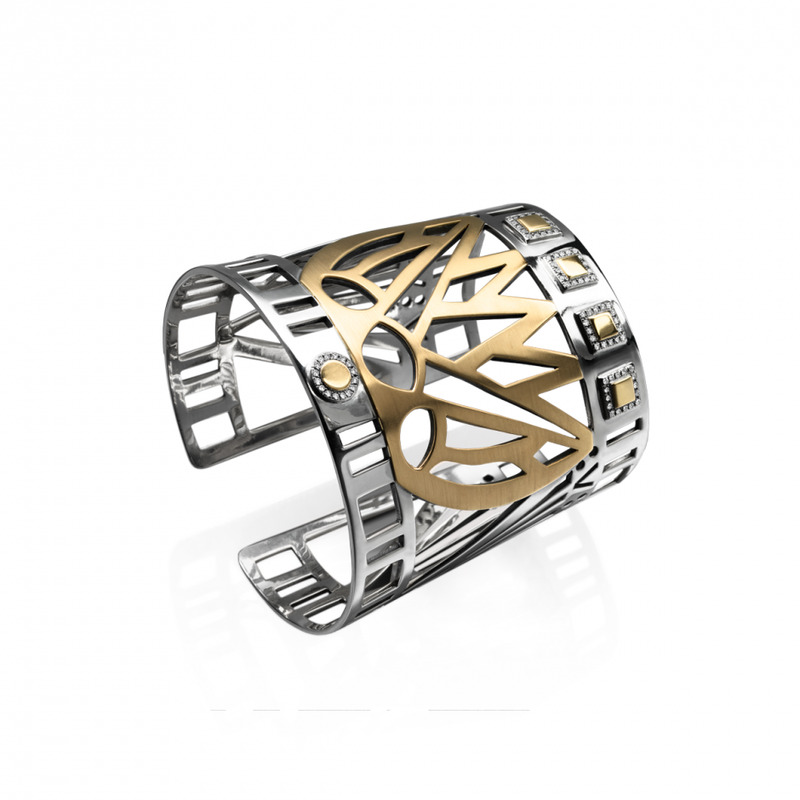 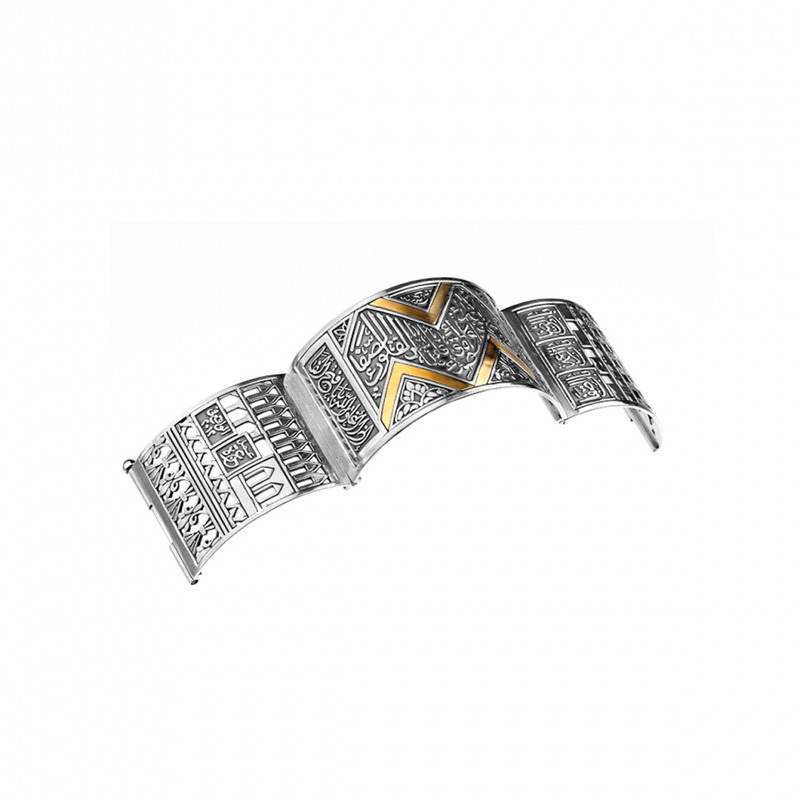 18kt Gold and Sterling Silver bangle adorned with geometric motifs and our signature calligraphy. 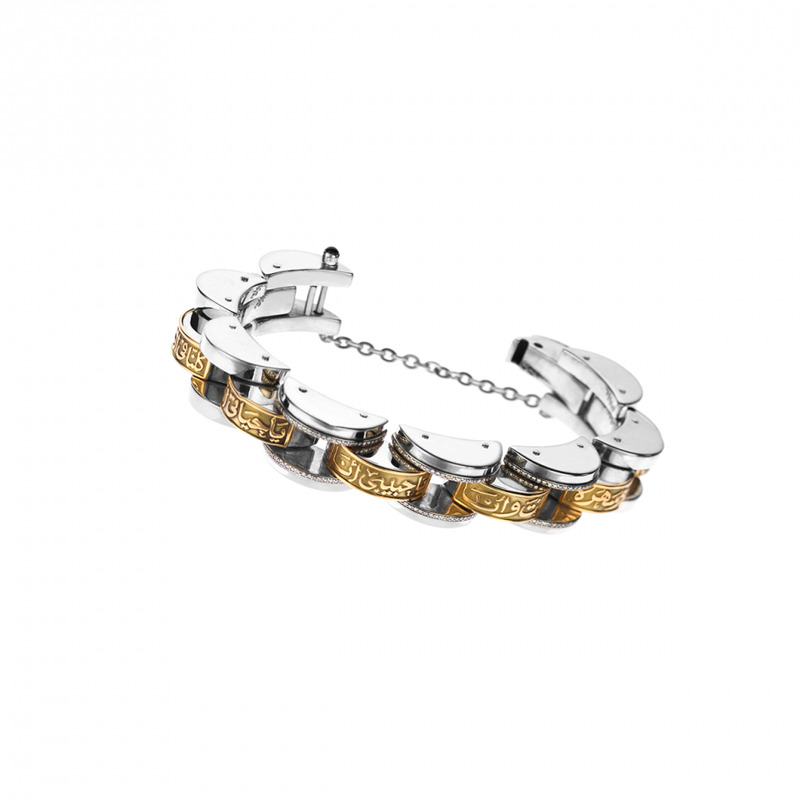 18kt Gold and Sterling Silver T-Lock Bracelet adorned with our signature calligraphy and semi-precious stones.